Different hair types need different shampoos. We all know that, but it doesn’t make choosing any easier. 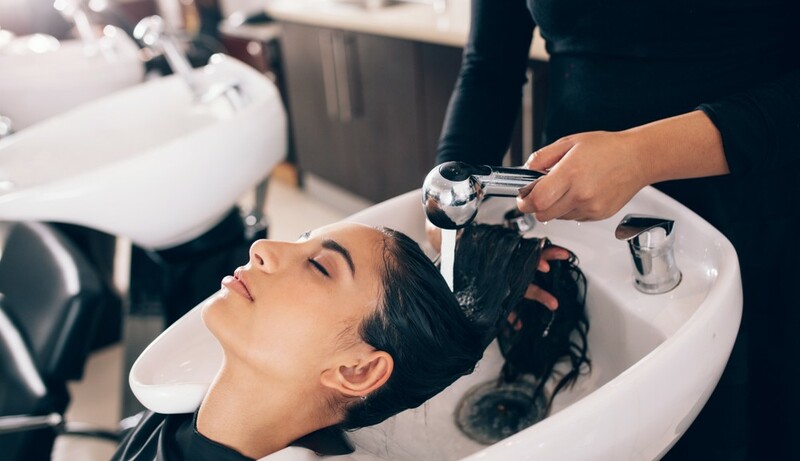 With so many shampoos available, how can you tell which ones are right for you? First of all, know your own hair: is it dry, straight, oil, or curly? Maybe it’s a combination! Whatever your hair type, make sure you know it before you go shampoo shopping. Here are our tips on how to pick the right shampoo and conditioner for your hair type. Winter is fast approaching, so let’s get onto some tips for dry hair first. Dry hair can be hard to manage sometimes, and it’s prone to frizziness – especially in the dry air of winter. Luckily, there’s one thing that can fix all your problems: argan oil! It’s a favourite for dry hair, and it comes infused in certain varieties of shampoo. Keep an eye out for shampoo products with hydrating argan oil; they will serve your dry hair well this winter. Damaged hair afflicts us all at some point. Whether we’re victims of the weather, or it’s been a little while between haircuts, split ends and damaged hair is nothing to be embarrassed about. It’s also nothing to be concerned about. With the right shampoo, conditioner, and hairdresser, damaged hair is only temporary. So let’s start with shampoo and conditioner. Often, dryness and damage go hand in hand. The first step is choosing a shampoo that addresses the source of the dryness – try the one recommended above. Then, you can consider a keratin based shampoo. Keratin strengthens and repairs damaged hair very well. Damaged hair also responds really well to coconut oil. Coconut oil has antifungal properties, and is a great solution to dandruff – add it to your hair care regime! Fine hair and volumising shampoo go hand in hand. The reason is simple, too. If you’re struggling to get your fine hair to style as you want it to, a bit of volume will really help you out. So what are some volumising options? A real crowd pleaser is the bumble and bumble range of thickening shampoos. They respond really well to fine hair and have inspired some pretty positive feedback. Our advice: start there, and try a few others as well. Remember, you’re never locked into one only! Oily hair can be hard to shampoo. If you’re prone to an oily scalp, chances are you’re well aware of that already! So many shampoos are designed to stimulate natural oils in your hair. So if your hair is already well-stimulated in that regard, those shampoos won’t do you much good. Luckily, you’ve still got options. First, avoid shampoos that ‘hydrate’ or ‘moisturise.’ They’re your new enemy! Instead, go for shampoos that are ‘dry’ and ‘pH balanced.’ If you look for those terms on labels, you’ll probably find the right shampoo for you after just a bit of experimenting. If you’ve got curly or wavy hair, disregard our last tips! You want shampoo that moisturises, hydrates, and keeps dry frizziness away from your hair. If you’ve got wavy hair, a good hydrating shampoo should be enough to keep things in check. But if you have especially curly hair, you might need some reinforcement post-wash. Once your hair’s been shampooed, try adding an argan oil treatment, or a holding cream. And as always, ask your resident expert: the hair stylist! For more tips on hair care, get in touch with COEV Hairdressers today on (07) 3844 4766.